In a summer box office season dominated by superhero blockbusters, a small documentary about a diminutive crime fighter is doing big numbers in limited release. "RBG," a documentary chronicling Supreme Court Justice Ruth Bader Ginsburg's fascinating life and career, has made more than $6 million in four weeks despite not yet going wider than 415 theaters. 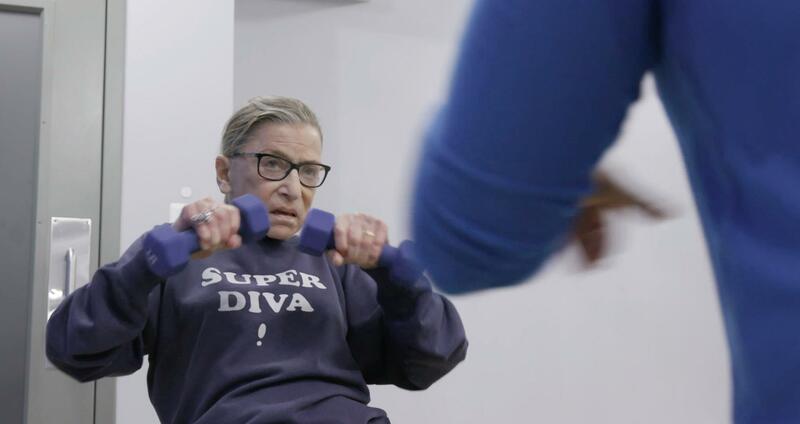 "Maybe Gloria Steinem was right when she told us that Ruth Bader Ginsburg was the closest thing she knows to a superhero," said Betsy West, co-director of the documentary. "She certainly has been that at the box office." The film, co-directed by West and Julie Cohen, spans the personal and the political by touching on subjects including the 5-foot-1-inch justice's fight for equal rights for women in the 1970s to her life-shaping romance with her late husband, Marty Ginsburg. The Supreme Court struck down a federal law that treats unwed fathers and mothers unequally — a major victory for Justice Ruth Bader Ginsburg, who has battled the discriminatory rule for decades. Republican senators contend Justice Ruth Bader Ginsburg established a standard of evasion at her 1993 Supreme Court confirmation hearing, but an independent study says otherwise.